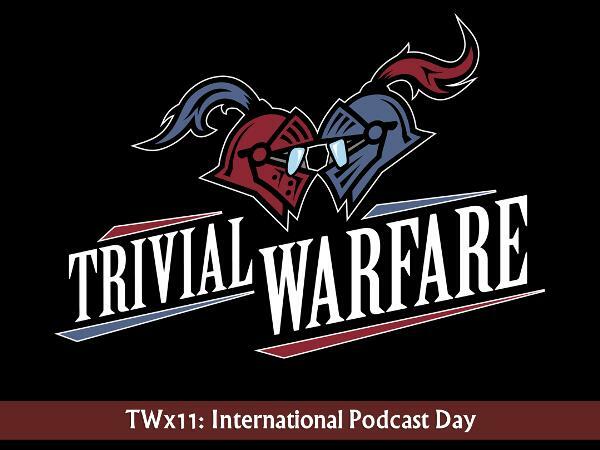 We're celebrating International Podcast Day here at Trivial Warfare. It's our second annual IPD show. Last year we used the show as a behind the scenes look at the show and how it got started. We liked that so much we decided to do it again. This time we're talking about everything that's been happening in the last year. We talk about where the show is and how it's doing. We go into some surprising detail about how the advertising works and you also get to hear some heartfelt comments from Jonathan, Chris and Carmela. We hope you enjoy this show. Be sure to help us celebrate International Podcat Day by sharing your favorite TW episodes with your friends!